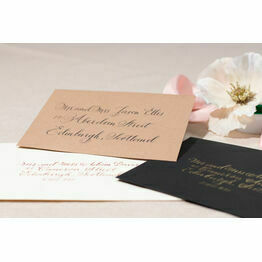 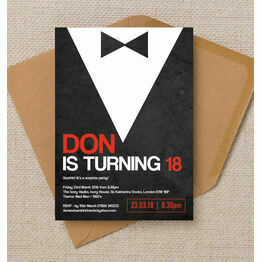 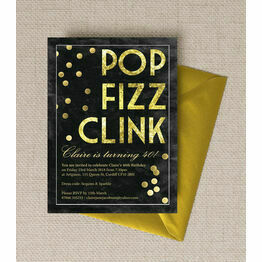 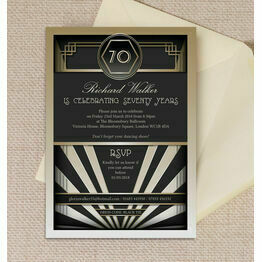 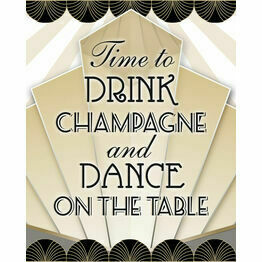 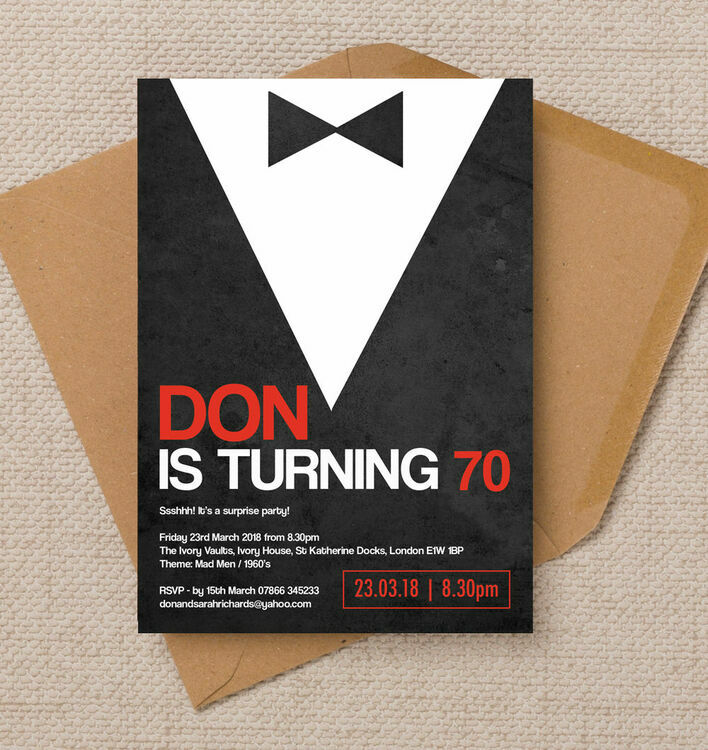 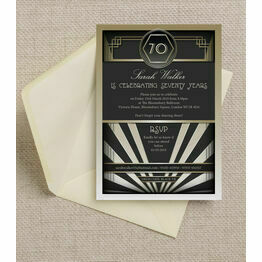 Channel your inner James Bond for your 70th birthday with this personalised party invitation. With a black tie theme, it's perfect for more formal events where everyone can enjoy getting dressed up to celebrate the big occasion. 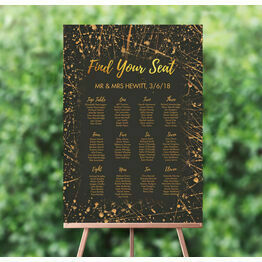 You can print your own by purchasing this design as a printable PDF, or order professionally printed for a luxury finish.